Faruqi & Faruqi, LLP, a leading national securities law firm, reminds investors in American Express Company (“American Express” or the “Company”) (NYSE:AXP) of the September 28, 2015 deadline to seek the role of lead plaintiff in a federal securities class action lawsuit filed against the Company and certain officers. The lawsuit has been filed in the United States District Court for the Southern District of New York on behalf of a class consisting of all persons or entities who purchased American Express securities between October 16, 2014 and February 11, 2015. The Complaint alleges that the Company issued false and misleading statements regarding the Company’s business and prospects, including the status of its negotiations with U.S. Costco to renew its co-branding agreement, which was set to expire on March 31, 2016, and the financial impact of that agreement on the Company’s business. Specifically, on February 12, 2015, American Express announced that it lost the U.S. Costco co-branding relationship, which generated 8% of the Company’s revenues in 2014 and pursuant to which one in ten U.S. Amex cards was issued. Additionally, 20% of the Company’s outstanding loans had been made pursuant to that agreement. The Company previously announced on September 2014 that it was ending its co-branding relationship with Costco Canada. In the announcement, the Company mentioned that its 2015 and 2016 projected profits would suffer and that the Company would not be able to make any headway on its previous efforts to increase EPS by 12-15% during 2015 and 2016. In response to this announcement, the price of the Company’s securities fell from a close of $86.01 per share on February 11, 2015, to close at $78.08 per share on February 13, 2015, a 9% decline per share on unusually heavy trading volume. If you invested in American Express stock or options between October 16, 2014 and February 11, 2015 and would like to discuss your legal rights, please fill out the form below. You can also contact us by calling Richard Gonnello toll free at 877-247-4292 or at 212-983-9330 or by sending an e-mail to rgonnello@faruqilaw.com. 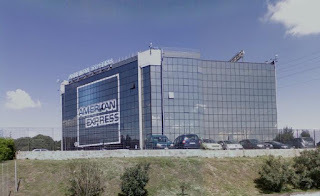 Faruqi & Faruqi, LLP also encourages anyone with information regarding American Express’ conduct to contact the firm, including whistleblowers, former employees, shareholders and others.